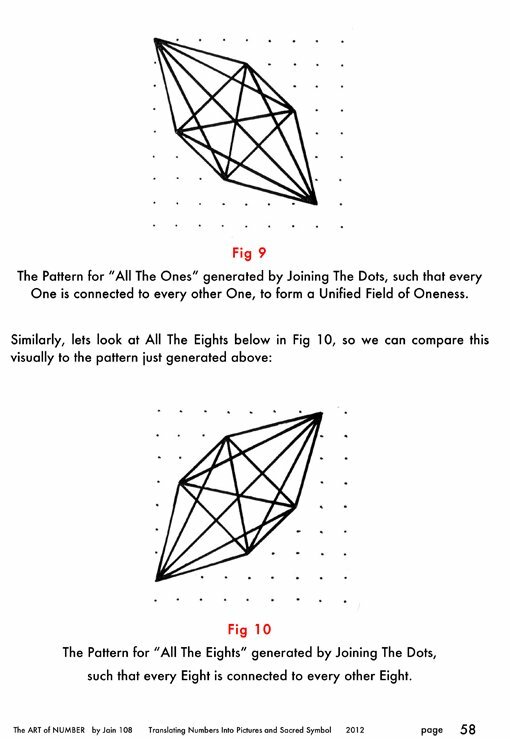 • When the Numbers (Male Left Brain) are multiplied using a visual mental structure as taught in this curriculum, it creates Whole Brain Learning or Feminine Right Brain Mathematics that responds to pictures and the Universal Language of Shape and Pattern Recognition. 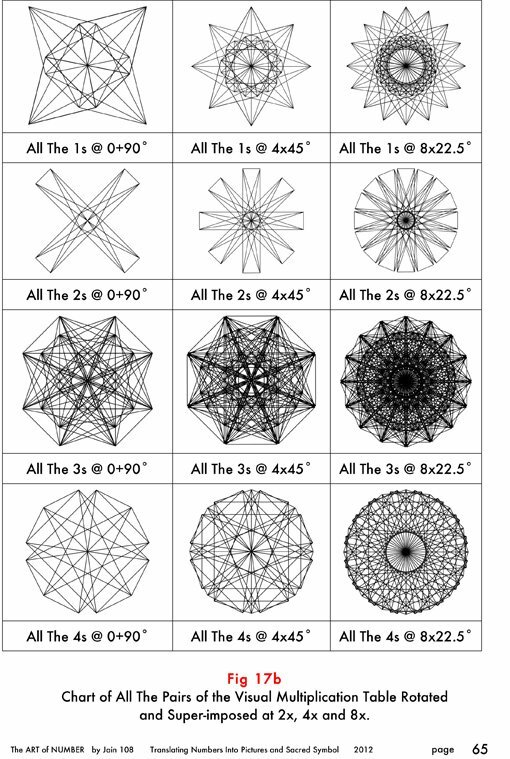 This course teaches the inherent Beauty of Mathematics. 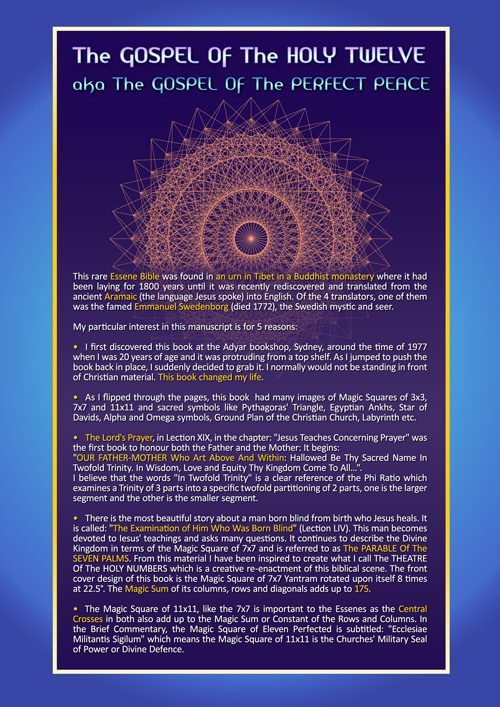 • A lot of this material was in the original Vedic syllabus 2000 years ago and it got lost for 2 millennia. 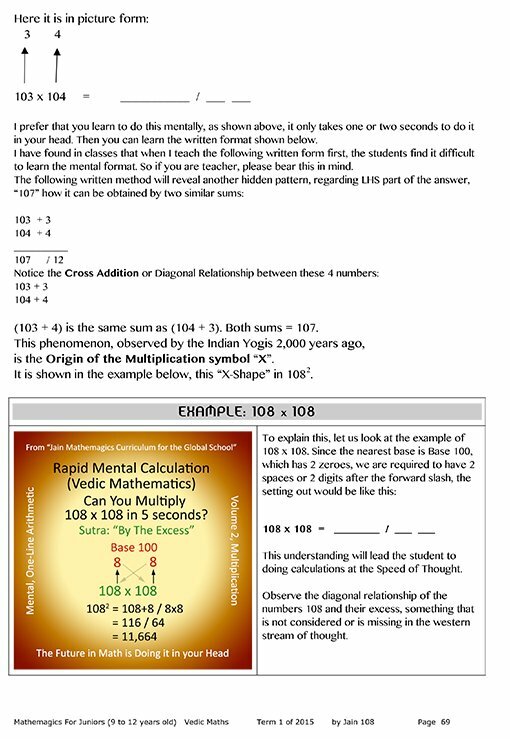 Many western cultures are resistant to teaching this Vedic Maths as it means honouring the Vedas and an Indian culture and it because it may create a race of genius who refuse to be subservient. 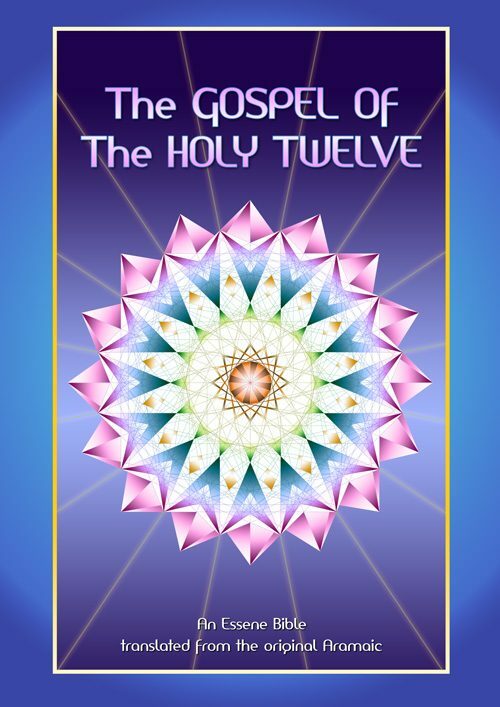 • Jain is merely putting back into the curriculum that which was always there. 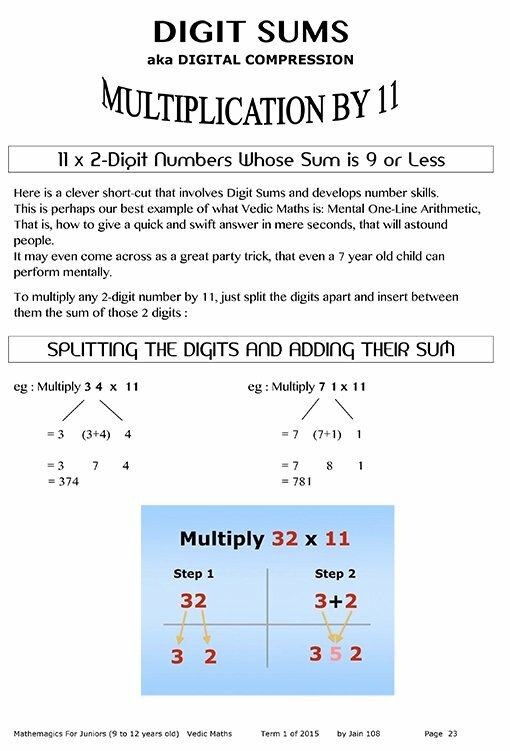 Get involved with your Child’s education.• When the Numbers (Male Left Brain) are multiplied using a visual mental structure as taught in this curriculum, it creates Whole Brain Learning or Feminine Right Brain Mathematics that responds to pictures and the Universal Language of Shape and Pattern Recognition. 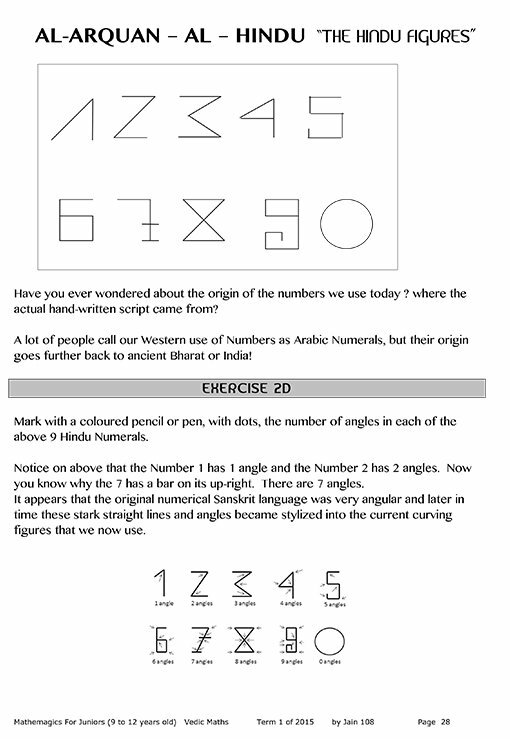 This course teaches the inherent Beauty of Mathematics.• A lot of this material was in the original Vedic syllabus 2000 years ago and it got lost for 2 millennia. 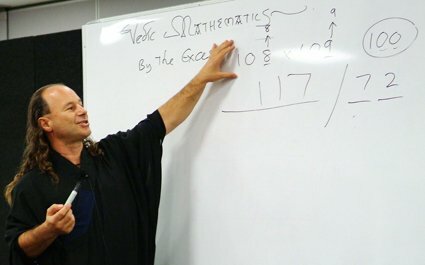 Many western cultures are resistant to teaching this Vedic Maths as it means honouring the Vedas and an Indian culture and it because it may create a race of genius who refuse to be subservient.• Jain is merely putting back into the curriculum that which was always there.• Jain talks to the Junior children as if they were young adults, using a highly intelligent vocabulary of words like Digital Compression, Cognate Numbers, Sub-Sutras, 3rd Eye Inner Mental Screen, “By One More Than the PenUltimate Digits”, “By The Deficiency” etc all of which they will soon understand.• Jain 108 of Australia has distilled the last 30 years of his research towards the re-introduction of Vedic Maths and Sacred Geometry back into the public school curriculum. 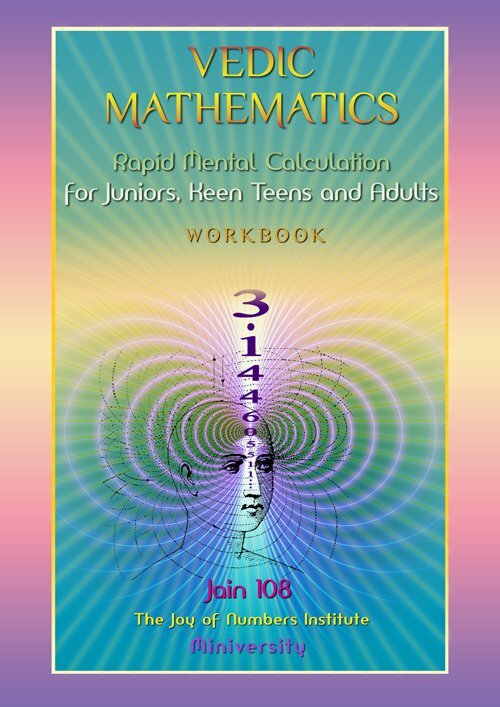 • This 9 Lesson / 9 Week Course will set you on your path to claim your natural mathematical Genius, to build both your Memory Power and Confidence. Become a Human Bio-Calculator! • This workbook is excellent for all public and private schools offered as supplementary or complementary curriculum lessons. • It is designed to have the parent sitting in the class with their child. Ultimately, the aim of this book is to get the student to apply knowledge confidently in practical situations, like being in a supermarket, and mentally calculating the change from $10 when buying 9 apples at 69 cents each, before the girl at the check-out calculates it electronically. 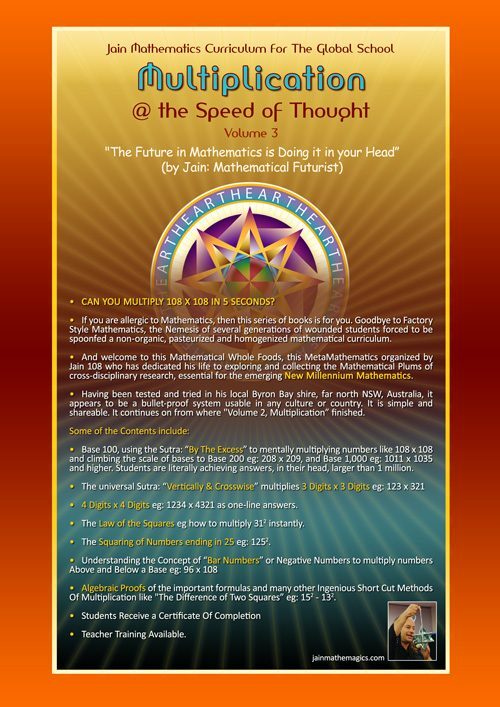 • Jain 108 has been actively teaching Vedic Mathematics, and Sacred Geometry for the last 30 years, overseas and around Australia. 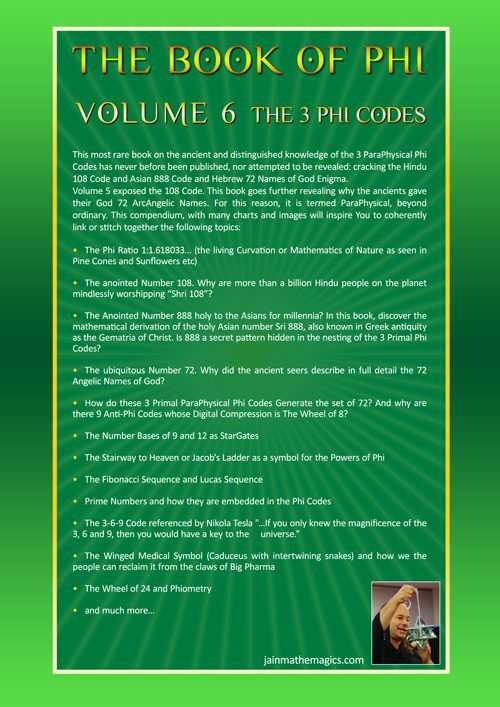 • He produced the first dvd in the world on Vedic Mathematics For the New Millennium in 2002, to cater for the growing online curriculum to fulfill his task of making this rare and ancient content available for the international home-schooling movement. 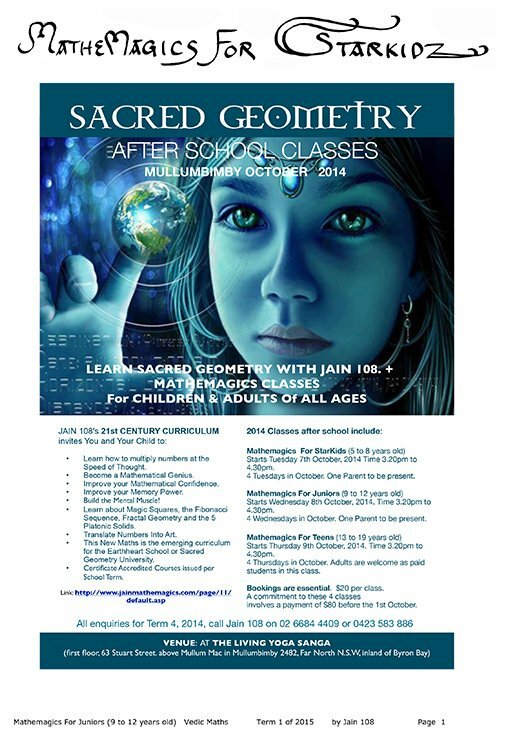 • Jain’s focus for this university-style learning is towards Juniors (9-12 yo) and Keen Teens. 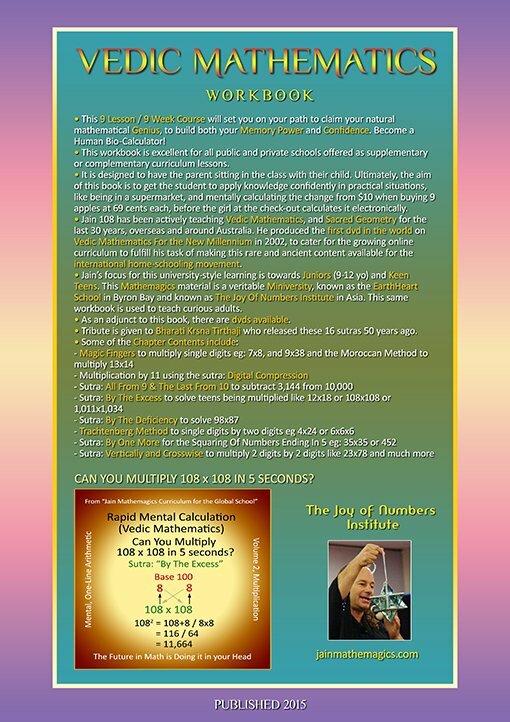 This Mathemagics material is a veritable Miniversity, known as the EarthHeart School in Byron Bay and known as The Joy Of Numbers Institute in Asia. This same workbook is used to teach curious adults. 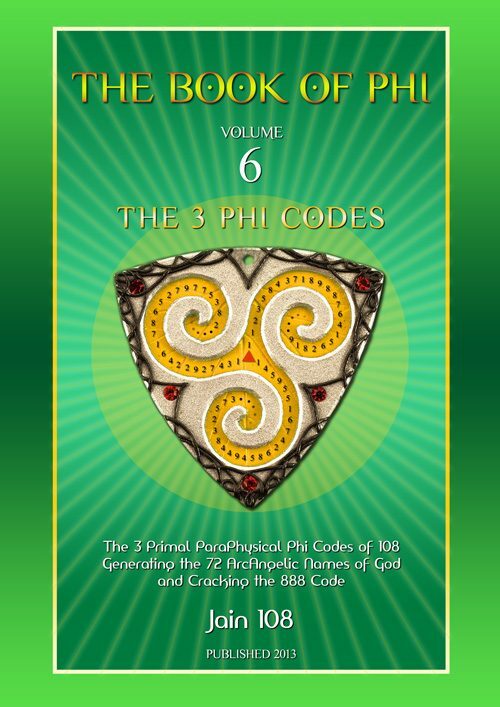 • As an adjunct to this book, there are dvds available based on live filming of these classes in Mullumbimby (Byron Bay area, far north NSW). 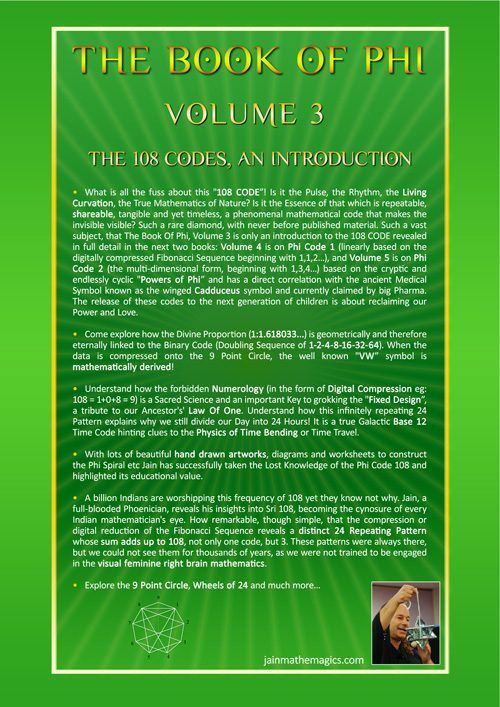 The dvds show the true progression of a typical child not knowing these essential sutras or formula, then demonstrating to themselves that they were genuinely able to perform Rapid Mental Calculation, at the Speed of Thought. • Tribute is given to Bharati Krsna Tirthaji who released these 16 sutras about 50 years ago. Jain 108 Director of EarthHeart School. Multiplication by 11 (Sutra: Digit Sums aka Digital Compression). The students will learn all the Sutras and Sub-Sutras that are highlighted in this Chart during this 8 or 9 week course. 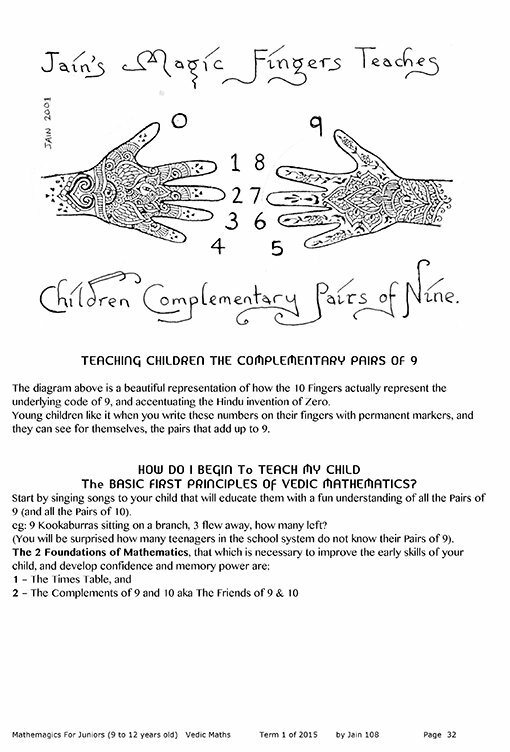 This Lesson 1 on Magic Fingers, is not Vedic Mathematics, it is my particular and unique way of introducing confidence with the Times Table. I introduced this Magic Fingers to 1,000s of students in India in 2005 who just loved it. Infact, this Magic Fingers took me around the world for 3 years teaching such knowledge. 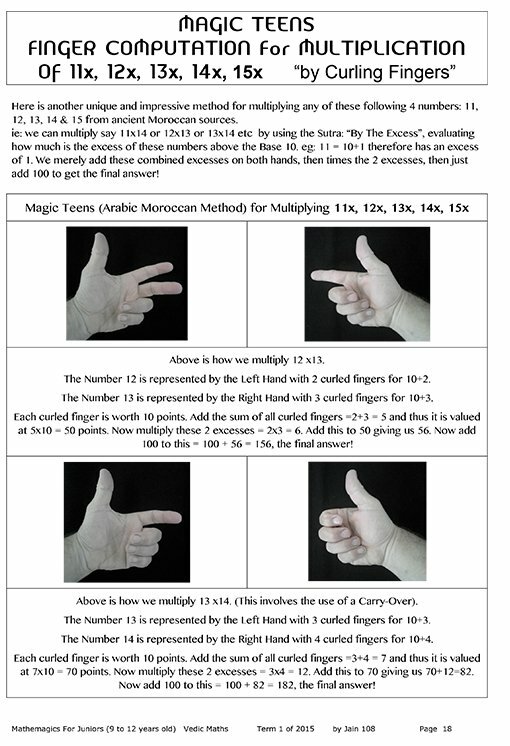 Also known as the “Moroccan Method”, this hand computation is an Arabic Invention that multiplies teens up to 15 like 13×14. Sourced from a rare book in my extensive library. 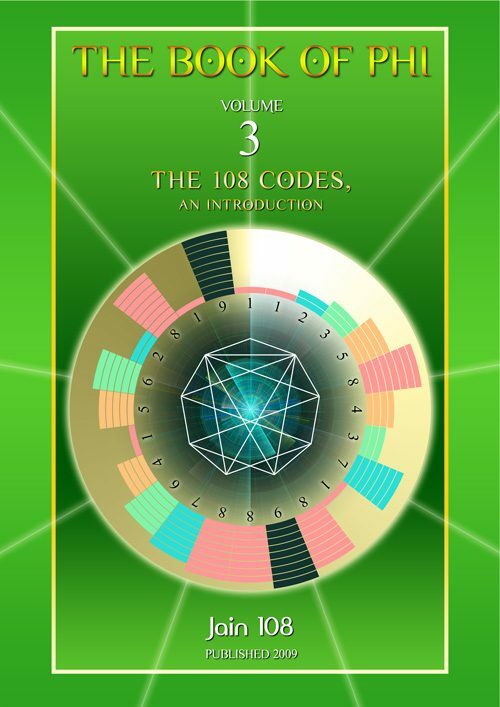 This Sutra also known as Digital Compression, that multiplies 2 or 3 digit numbers by 11, is a powerful one, as it is the key to Modulus or Clock Arithmetic and is the Key to StarGate Mathematics evident in the Sacred Geometry of the Fiboncacci Sequence, Doubling Sequences, Prime Numbers and much more. 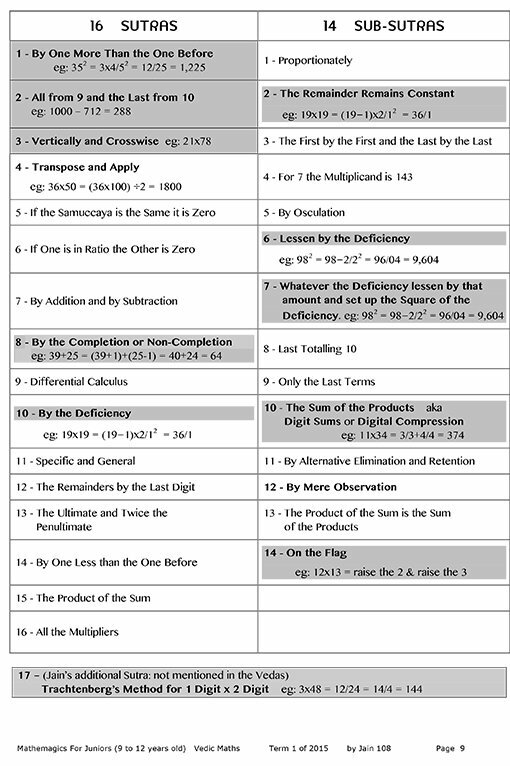 I wrote the first complete book on Digital Compression as part of the series of the New Millennium Vedic Maths Curriculum For The Global School. 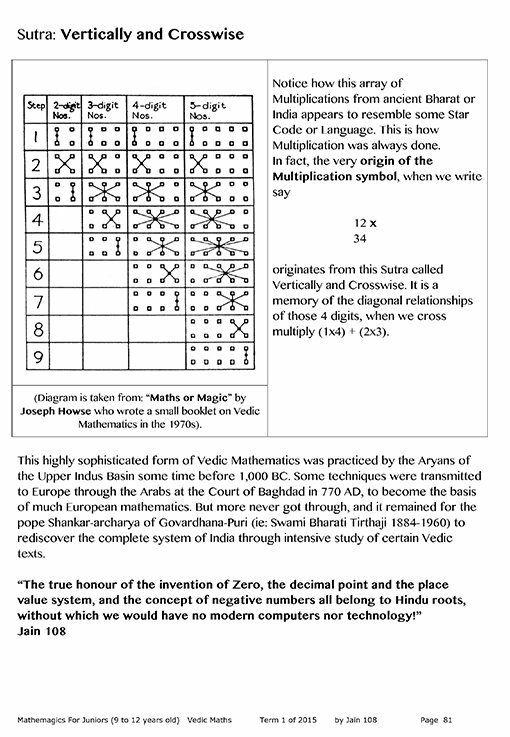 The Hindu Numerals are a Vedic Construct over 2,000 years ago. They are a memory of how many angles each Number contains, eg: Number “3” has 3 angles. The Arabs came along a 1,000 years ago and introduced them into Europe, and today, people still call our current numbers as “Arabic Numerals” which they are not. 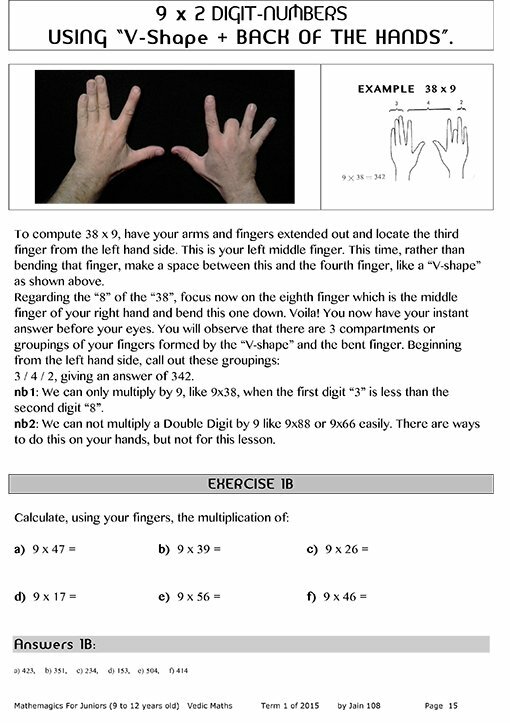 The Complementary Pairs of 9 can be demonstrated on the fingers. A rare picture taken from an engineering and physics book discussing the “The Right Hand Rule of Thumb” teaching which way an electrical current runs through a wire, clockwise or anticlockwise. 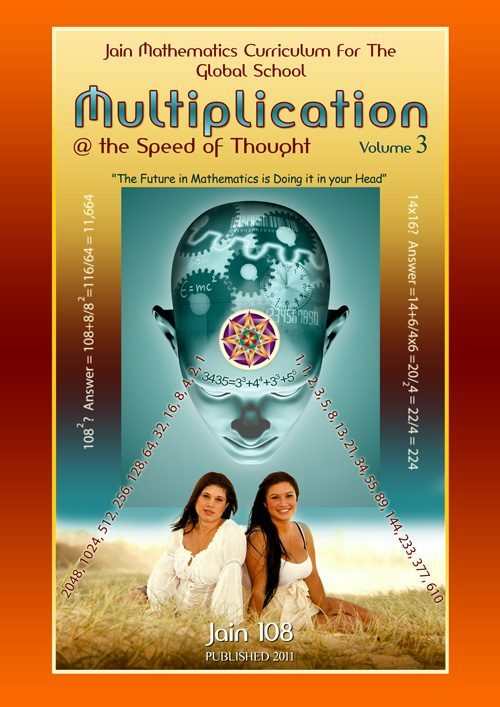 Also known as the Friends of 9, these Pairs of 9 and Pairs of 10 along with the Times Table, are the foundation of Vedic Mathematics, to become a true speed calculator. How to multiply 108 x 108 in your head in 5 secs! Swift, One-Line Answers. Chart for the Multiplication of 2 digits x 2 digits, 3d x 3d, 4d x 4d etc, using the Universal and most general Sutra: Vertically & Crosswise. 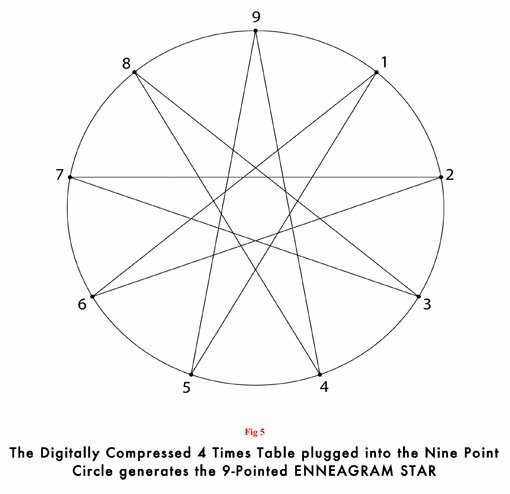 The Chart shows how the brain porcesses multiplication, and appears like a star code or glyph from a higher intelligence. 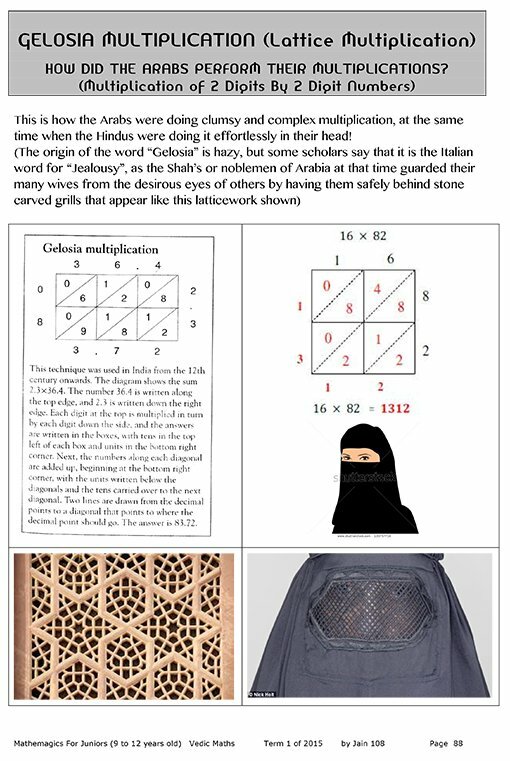 This is how the Arabs did their multiplication using a lattice-like system, called “Gelosia”, the Italian word for “jealousy” since these Muslim women are veiled behind a stone grid that looks like lattice-work or they have to wear a veil over their face that has a lattice-like pattern. The method works well, but is not as efficient as Vedic Maths. Therefore, by teaching Arabic Multiplication, I am also teaching the history of maths and the important and necessary Multi-Cultural aspect. Similarly, each child must learn how to use the Chinese Abacus, and also the electronic calculator. 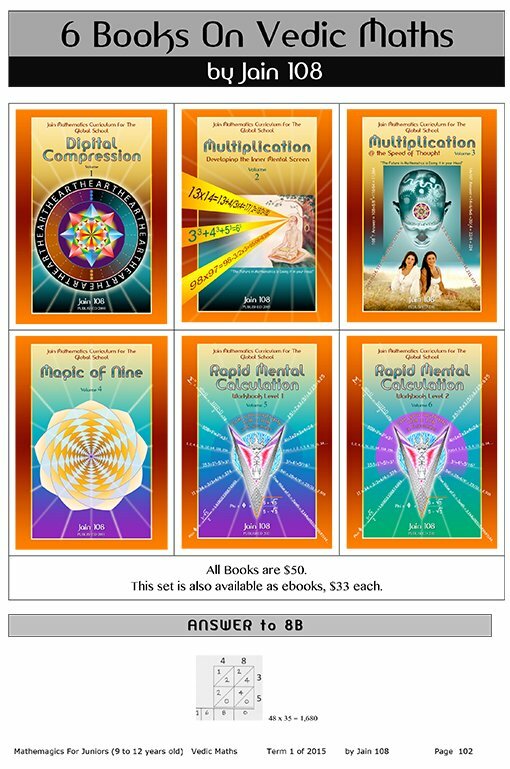 These 6 books on Vedic Maths, plus this workbook, makes 7 books available on Vedic Maths. Also 3 dvds are available to complement this material. Next year in 2016 I will have available a 7 dvd set based on filming the 7 Lessons just taught on Vedic Maths during Term 3 of 2015, July and August. The concept is for Teacher Training persons, if they are teaching say Lesson 4 of 7, there is whole dvd on that lesson, to help explain the content in the book, if the teacher needs more clarification. 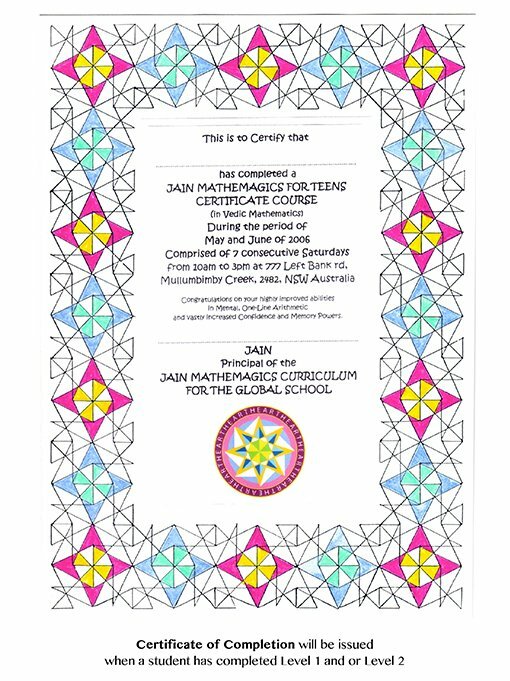 A typical Jain 108 Mathemagics Certificate given to every child graduating from any of the courses.